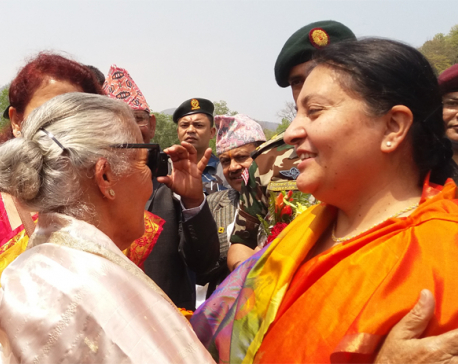 KATHMANDU, Mar 7: Former UML leader Bidya Devi Bhandari filed her nomination for the President for the second time on Wednesday. UML leader Madhav Nepal, Bhim Rawal, Ishwor Pokherel, Subash Nembang and Maoist Center leader Onsari Ghartimagar proposed Bhandari for the president while Gokarna Bista, Rabindra Adhikari, Bhanubhakta Dhakal and Ram Bahadur Thapa seconded the proposal. 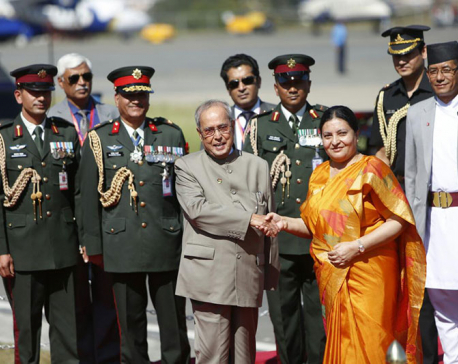 UML chairman and Prime Minister KP Sharma Oli and other senior leaders were also present during the nomination ceremony. 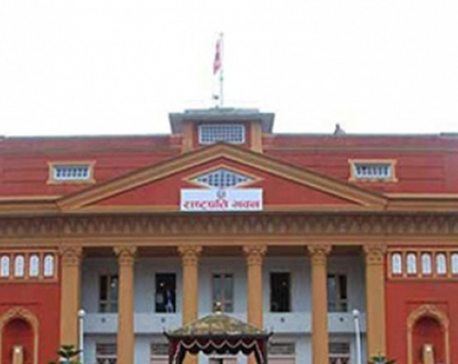 Kumari Laxmi Rai from Nepali Congress has filed her name as presidential nominee against Bidhya Devi Bhandari. The voting for the post will be held on March 13.